I am a pumpkin fanatic! Who’s with me? 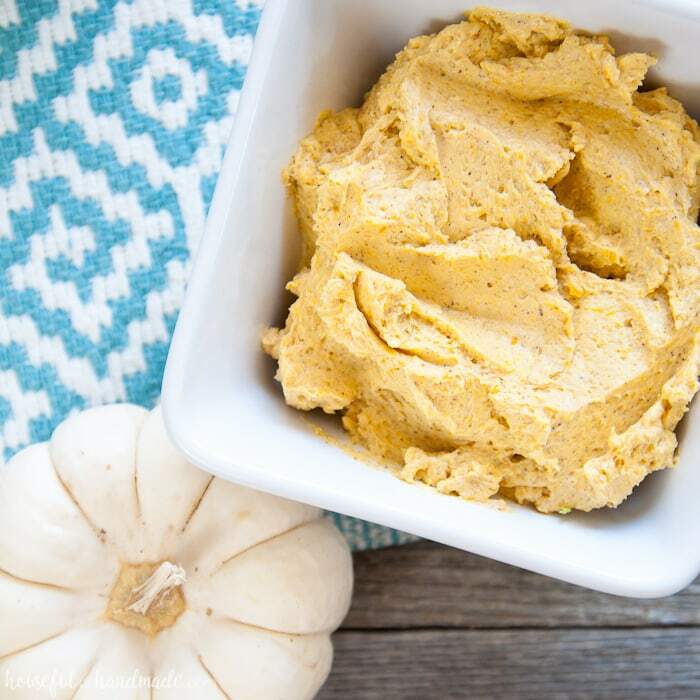 As I was figuring out all the amazing posts I was going to share with you this fall, I realized I didn’t have a single pumpkin recipe to share. Well that was not going to do, for someone who survives on all things pumpkin from mid-August till January, I had to share at least one delicious pumpkin recipe this month. I decided to keep it simple, but I promise, amazingly delicious, with this pumpkin pie whipped honey butter recipe. I’ve had this idea to make a simple pumpkin condiment in my head for too long now. 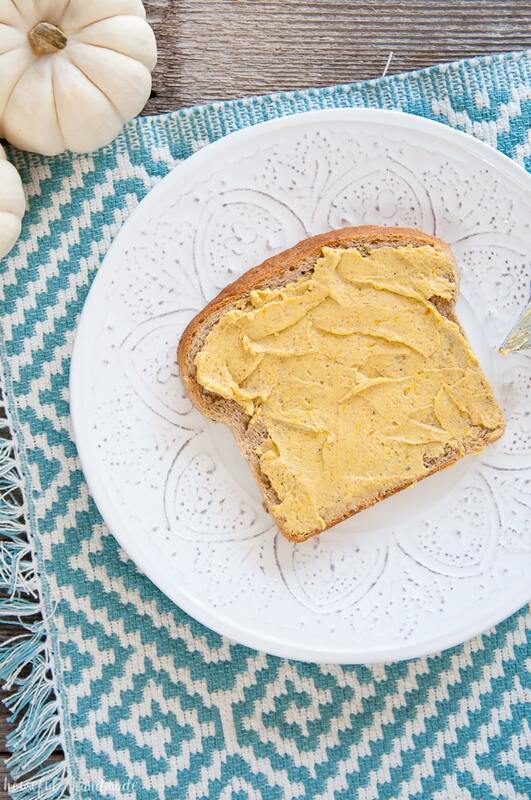 What better way to enjoy fall than to spread a little bit of pumpkin all over everything you eat? I took the time to play around with the idea this week and what I came up with was more delicious than I could have imagined. Now every lone piece of bread, roll, or muffin in our house is destined to become something special. I made a couple loaves of whole grain seed bread right before I made this pumpkin pie whipped honey butter and my family devoured the bread in record time. 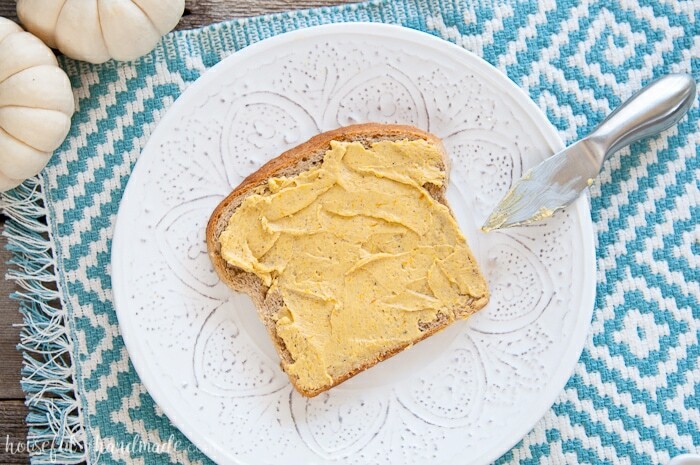 This recipe was originally shared at Oh My! Creative. 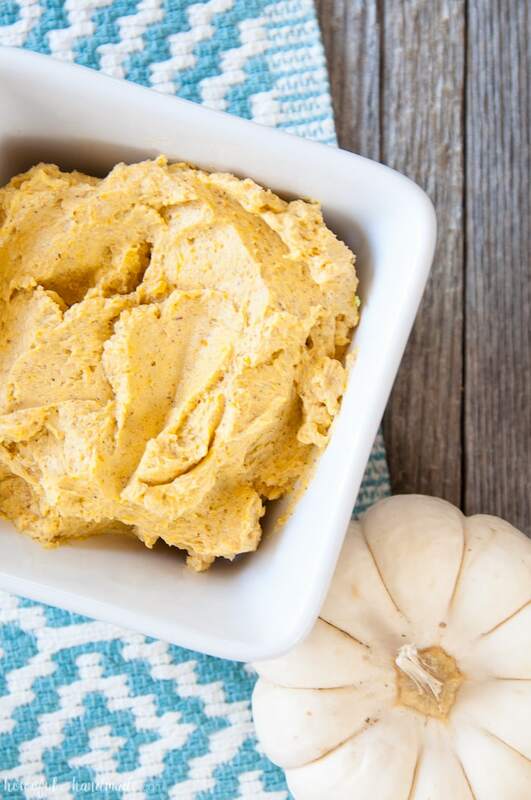 For the most delicious fall treat, smother this pumpkin pie whipped honey butter recipe on everything you can find. Or give as a gift for your favorite hostess or teacher. Combine all ingredients in a small bowl. Whip together with a hand mixer until light and fluffy. Serve at room temperature. Store in the refrigerator for a couple weeks (if it will last that long). This butter looks and sounds amazing Kati!!! Thanks so much for sharing at our party! Hope to see you back this evening! Thanks Kendra! It is super yummy you should try it.